Mouse bone marrow transplantation protocol. Experiment 1: Bone marrow from male INS2*EGFP mice was injected into irradiated female wild-type mice. 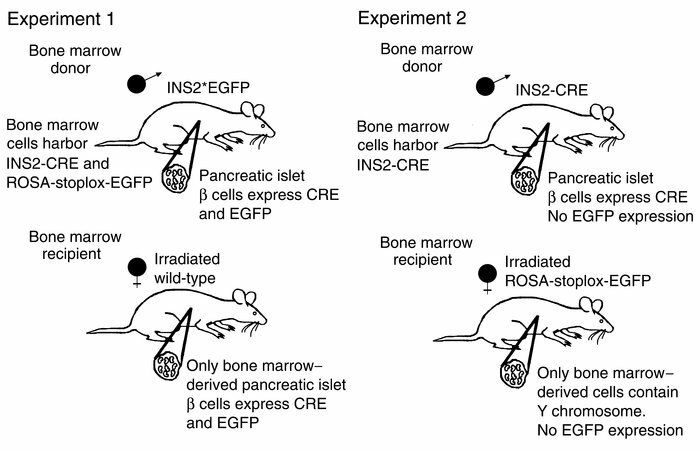 Experiment 2: Bone marrow from male INS2-CRE mice was injected into irradiated female ROSA-stoplox-EGFP mice.